Boxycharm September Review! 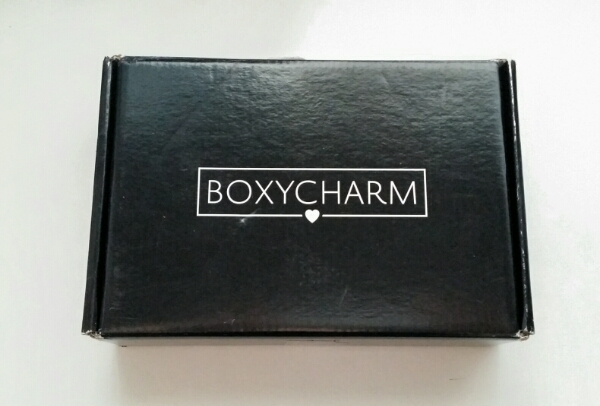 Boxycharm is a beauty subscription box. 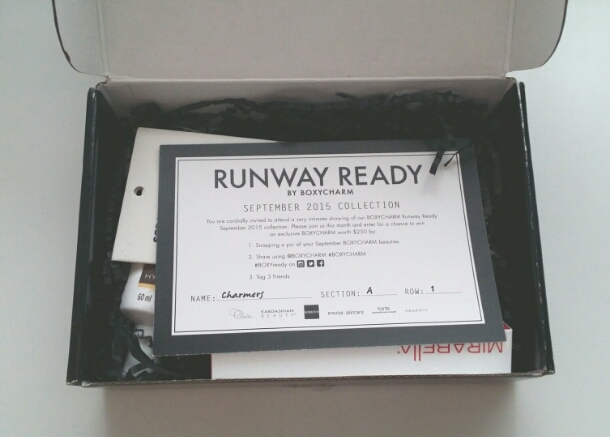 They include items like makeup, tools, skincare, haircare, etc.. in full and deluxe sample sizes. Boxycharm is $21 a month with free shipping. Cancel from your account anytime. They send full size and deluxe sample beauty items. 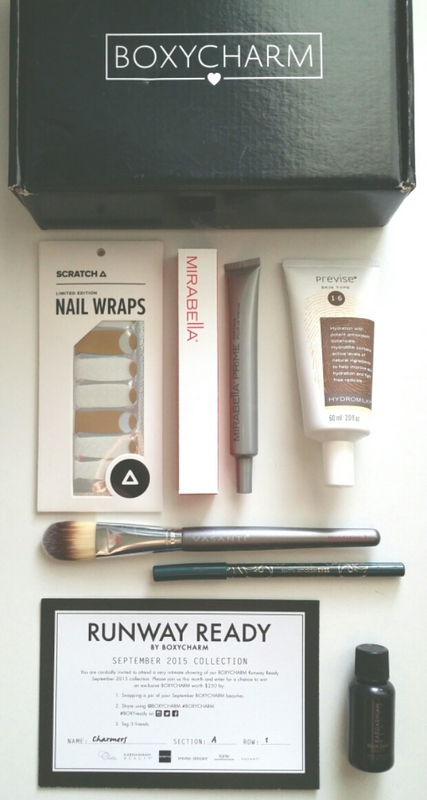 They are one of the best as far as full size & value in beauty boxes. So, I’m a little upset at Boxycharm because of this box. I received the wrong eyeliner. Not the one that said everyone would receive. 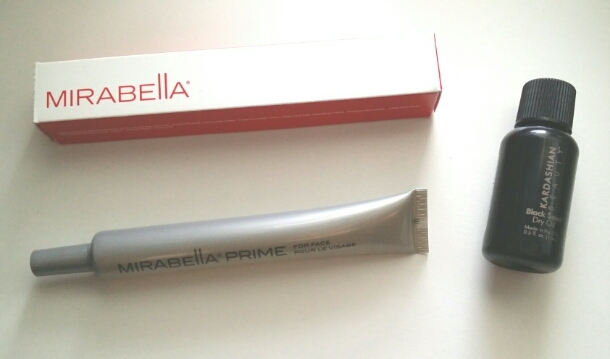 And I received Mirabella Primer instead of the Chella eyebrow gel. I already received the primer in a previous box. 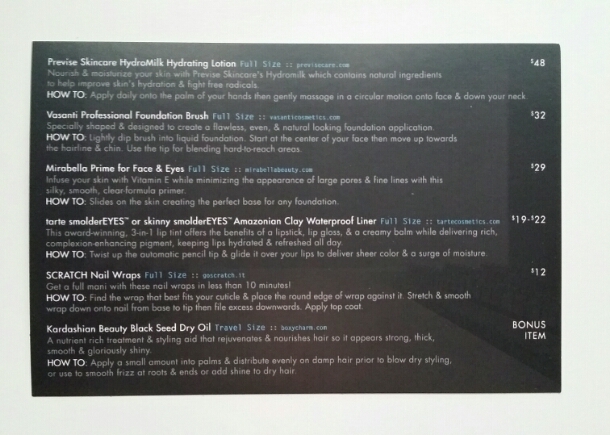 The information card detailing the items & retail prices. 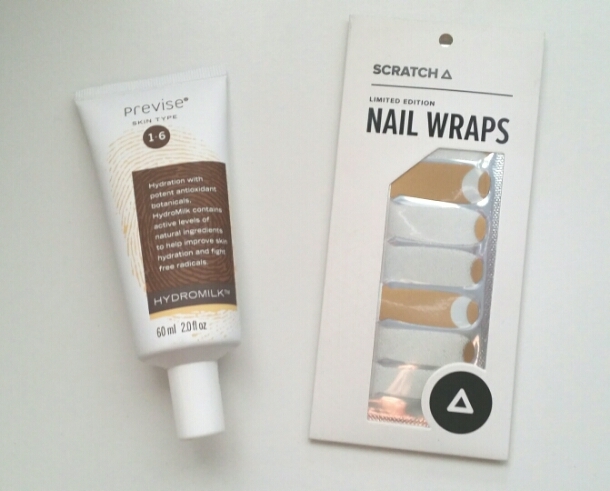 •Previse HydroMilk Hydrating Lotion. Fulls Size. Value $48. Contains Potent antioxidants, botanical extracts, and hyaluronic acid. I can’t wait to try this. •Scratch Nail Wraps. Value $12. I can’t seem to use these wraps well for some reason. And they are so cute. I wish I was good at it! 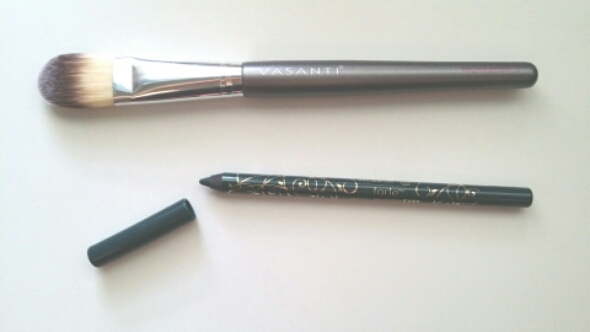 •Vasanti Professional Foundation Brush. Value $32. This is the second Vasanti brush we have received from Boxycharm. They are nice brushes. I don’t use these brushes for foundation but I use them for masks. •Tarte skinny SmolderEYES Amazonian Clay Waterproof Eyeliner in Emerald. Value ? This is not the eyeliner that’s supposed to be in the box. It should have a blender on the end & the skinny version comes in a box. No blender & no box. So I’m not sure why I got this one. From what I can tell, I’m the only one that got this one. And the lid is bent. I emailed customer service so we’ll see what they say. •Mirabelle Primer. Value $38. I’ve already received this in a previous box. While I don’t mind primer, I don’t think I should be receiving it again. •Bonus 6th item. Kardashian Black Seed Dry Oil. 0.5 oz. Value $2.75. I love dry oil for my hair so I’m really wanting to try this!